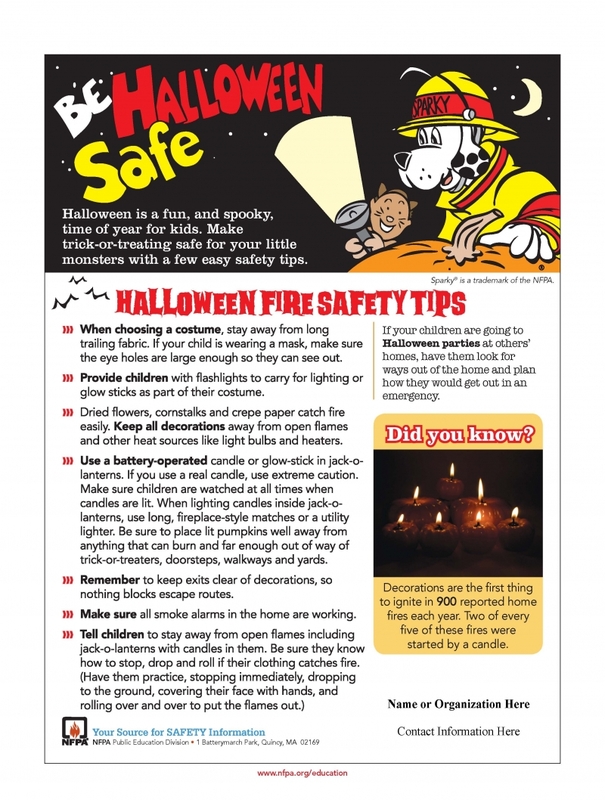 With Halloween just two days away and all the trick or treaters getting ready here are some safety tips for both the trick or treaters and you to keep safe this Halloween. Courtesy of NFPA. If you have any other questions about Halloween safety feel free to contact us on here or on our facebook. Also keep an eye out for us and our trucks on Halloween as we will be driving around and handing out candy.